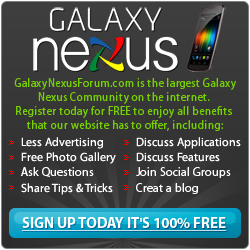 Below you will find a list of discussions in the Off-Topic Forum forums at the Galaxy Nexus Forum - Samsung Galaxy Nexus Community. The Off-Topic Forum forum is for discussion of: Discuss other off-topic items in this section. No religious or political discussions are allowed..
How to Recover WhatsApp Messages on Samsung Galaxy S8/S8+? How to recover audio from samsung galaxy phone? Recover Contacts from broken samsung s7 edge?